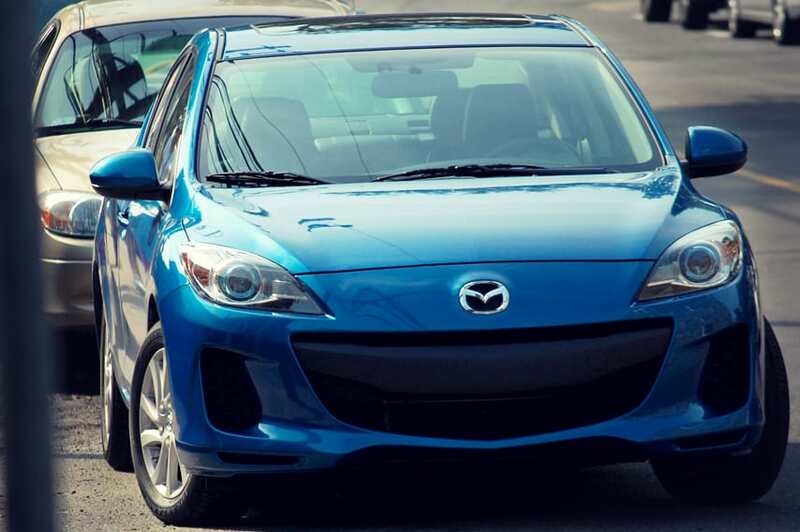 Mazda's compact gets the Everyman treatment. My first car was a 1999 Cavalier. I bought it in 2003 for something like $4,300. It was your standard first car, not a lot of bells, and some of the whistles didn't work, but it had a CD player, which at the time was a big deal to me. The interior was very simple, and though it was the “Z24” sport model, folks didn't buy this car for the excitement it produced on the pavement. I found the original dealer sticker tucked away in the manual one day and was surprised to learn this little, barebones vehicle originally sold for $20,000. Ever since then, I've been convinced you don't get a lot of new car for $20,000. 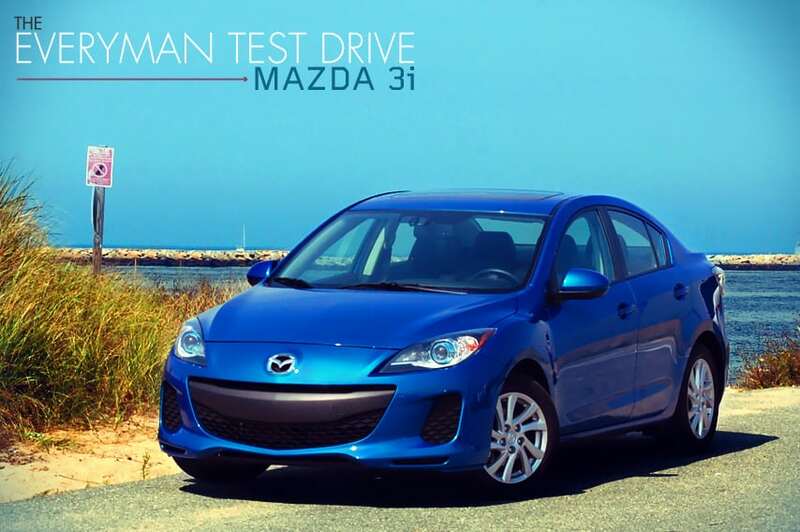 But I changed my mind while test-driving the Mazda 3i. The end of my summer this year was signaled by a last hurrah vacation to my girlfriend's hometown on Cape Cod, and this is where I test drove the 3i for a week. If you've never been to Cape Cod, you may be surprised as I was, that it's very rural. Specifically in her hometown of Sandwich, there's a great emphasis on protecting the area from over-development, so common destinations like the grocery store or a shopping center or a restaurant are scattered 15-20 minutes apart with winding, two lane roads connecting them. 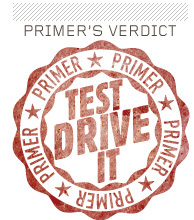 The perfect place to test a car's handling and performance. 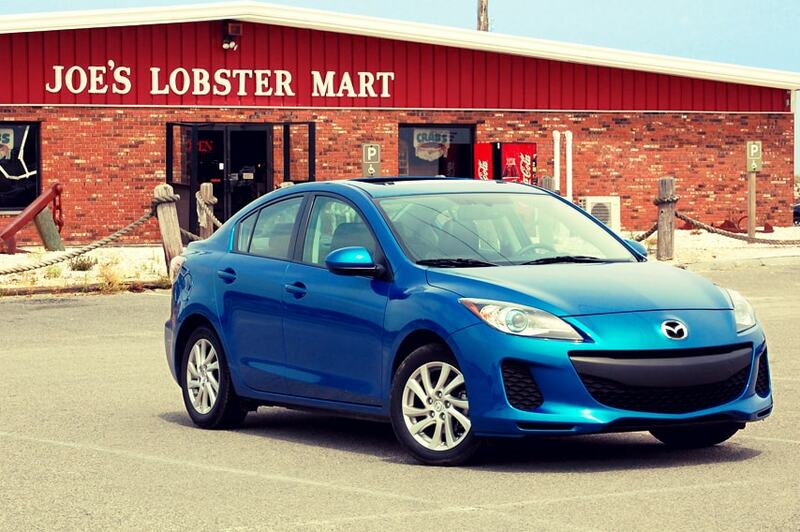 The Mazda 3i is in the compact car class, just like the Cavalier was, but that's where the similarities end. The 3i has modern, aggressive lines in contrast to it's same class competitors like the Honda Civic and Toyota Corolla. The 3i Grand Touring model that I had came equipped with Mazda's Skyactiv technology that increases fuel economy to 28 mpg city and 40 highway, pretty decent for an internal combustion engine that doesn't employ any new hybrid technologies like the Kia Optima I tested last. On the highway there is a little lag on the gas pedal if you're already up to speed, but I found switching to auto-stick dissolved that nicely. The handling is equally sporty and stiff. 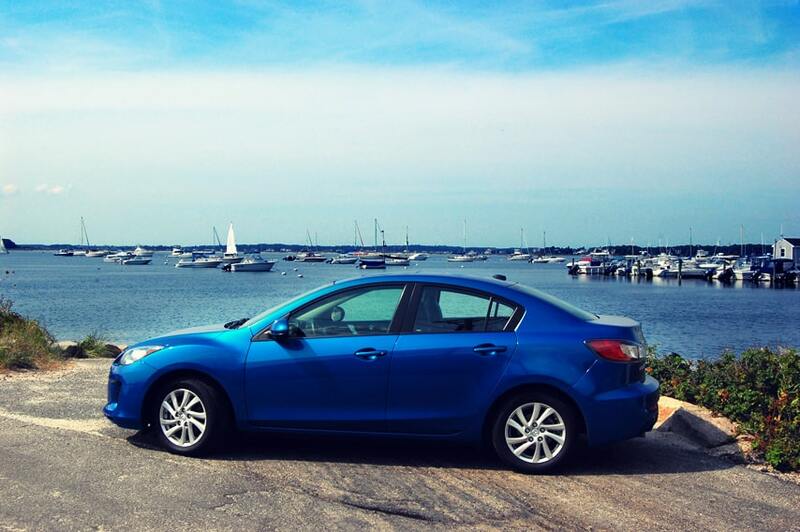 I did this review car no favors on the winding roads of Cape Cod, but it didn't let me down. A wild turkey actually ran out in front of me and I was able to controllably swerve to miss it without slowing down and the car barely flinched. The 3i Grand Touring edition has some nice bells and whistles of its own. The 10 speaker Bose sound system provides awesome sound, big bass, and little to no rattling. The radio has an auxiliary input inside the middle armrest to plug in your mp3 player, and there is also a USB charger in there, which is a smart addition. The cockpit looks and feels modern, but also pretty standard with today's offering. The side mirrors offer blind spot monitoring, showing a little icon on the mirrors when another vehicle pulls alongside of you. At first I thought it would be gimmicky and unnecessary, but it did make highway driving more efficient. The sun roof is always appreciated. The inboard GPS took a little getting used to, but it worked well. The screen size is small, and set deep into the console making a radio-based, touchscreen nav system desirable. All of the controls for the radio and nav make beep sounds while interacting with them, that proved to be mildly annoying, though I believe it can be disabled. The Mazda 3i is a 4-door, but the backseat would not be very comfortable for two adults if you're going any farther than across town. 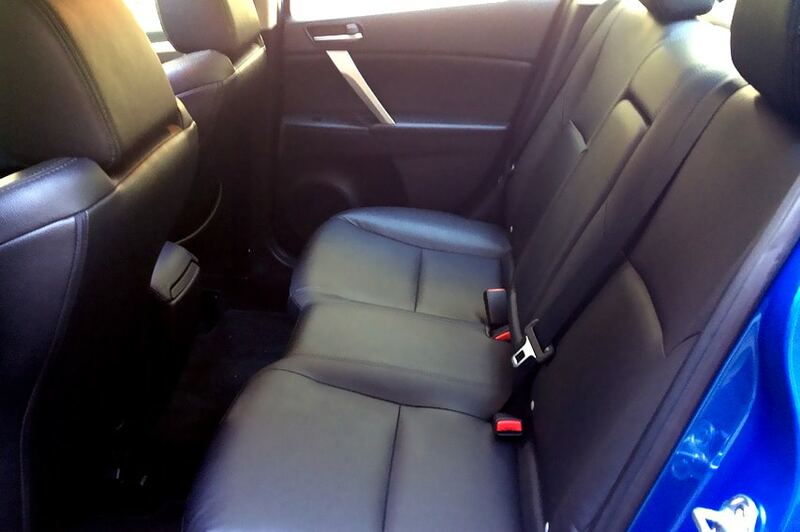 When carrying a third passenger there was always the awkward exchange with the front passenger sliding the seat forward and back asking if they had enough room, though I suppose this is to be expected with a car that is in the “compact” class. 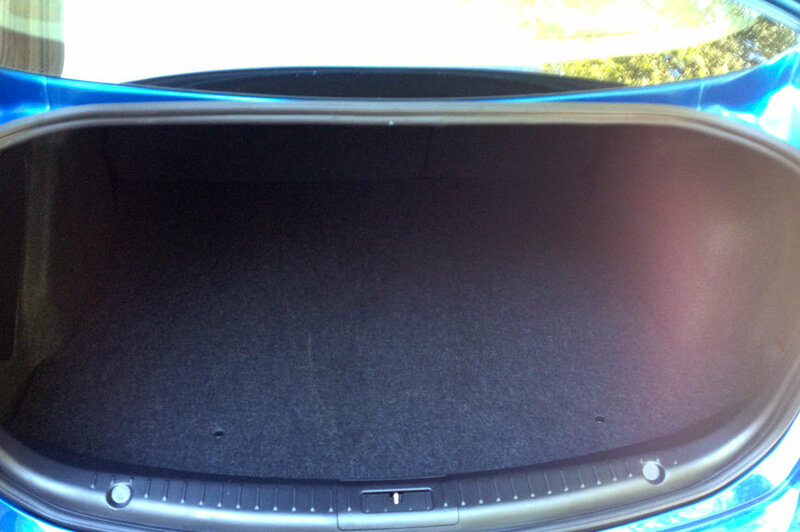 The trunk looks small from the outside, but has plenty of room. It fit two giant suitcases plus change. The standard Mazda 3i starts at $22,300, and with the optional $2,600 in accessories (interior lighting, blind spot monitoring, etc.) that the car I drove had makes the car $24,970. Times have changed. You get a lot more car for around $20,000 than you used to. I’ve had mine since 2006. Best car I’ve ever owned. Still driving it. I test drove the hatchback version last summer, really nice town car. 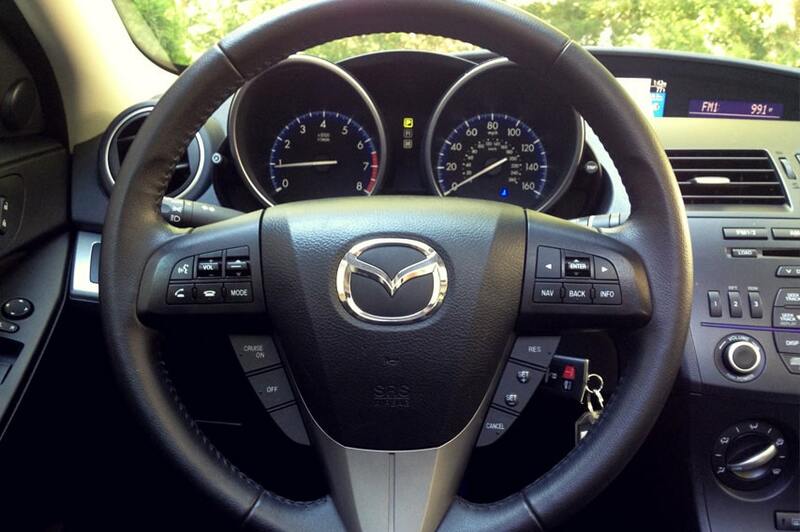 However I do a lot of highway driving and when the Mazda 3 is up to speed the road noise is unbearable. I ended up going with a VW Golf and couldn’t be happier. 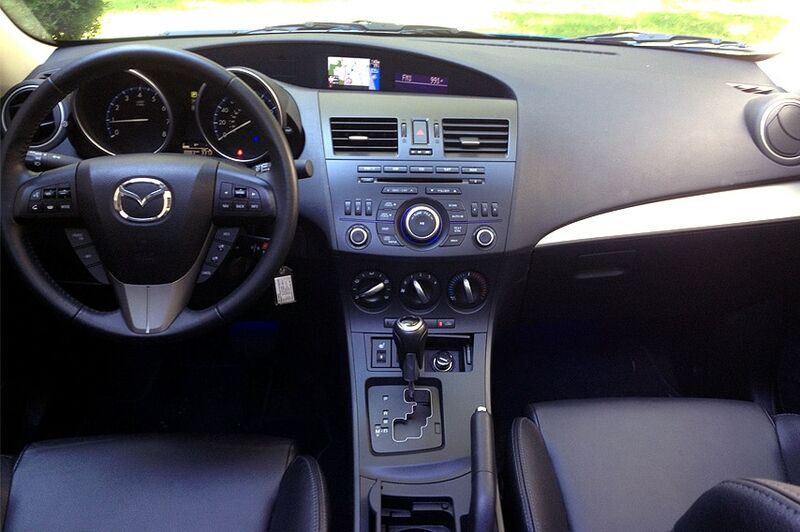 For just a bit more, it comes with a 6-speed manual …and an extra 100HP. Puts a smile on my face every day, and makes the work commute not just bearable, but a joy, every time. Highly recommend anyone considering a 3 test drives a Speed3 as well. You’ll thank you.